.02 Acres 14x62 and 868 total sq ft. Vacant Lot Zoned CMX2, Basic Permitted Use: Household Living (but usually not on the first floor), Commercial Offices, Professional Services, Retail, Groceries, Sit-Down Restaurants, Educational Facilities, Government Offices, and Artists Studios. 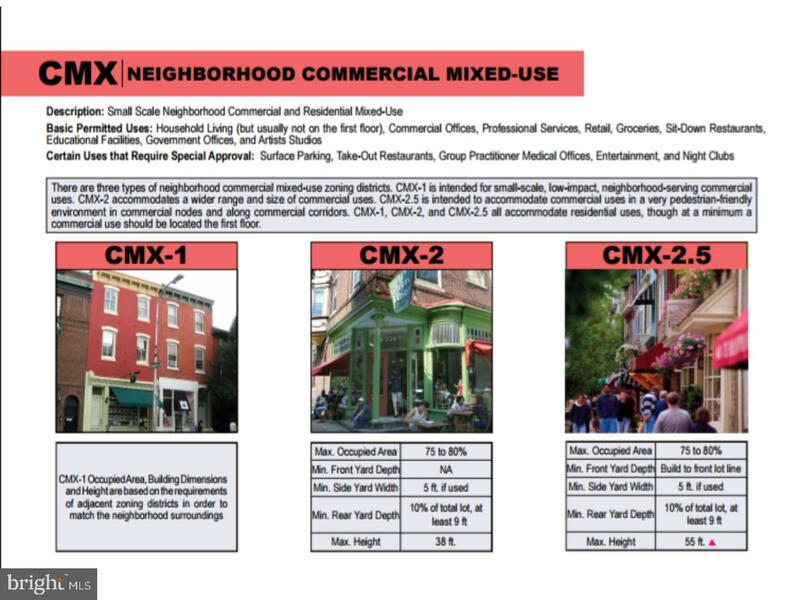 CMX2 accommodates a wider range and size of commercial uses. Property sold in "As Is" condition. Buyers are responsible for City Certification. 2002 GERMANTOWN AVENUE , Philadelphia PA 19122 is a Land, with 0 bedrooms which is for sale, it has 936 sqft, 936 sized lot, and 0 parking. A comparable Land, has 0 bedrooms and 0 baths, it was built in and is located at 2054-60 N 2ND STREET PHILADELPHIA PA 19122 and for sale by its owner at $ 380,000. This home is located in the city of PHILADELPHIA , in zip code 19122, this PHILADELPHIA County Land, it is in the YORKTOWN Subdivision, and FISHTOWN are nearby neighborhoods.